I have had arthritis in my knee making it painful to do the things I like. I tried so many brand products which did not work and doctor recommended take regular injections. After one month of taking Zentril, I was shocked to find that I could walk without any painful. Zentril is my miracle cure. The osteoarthritis knee pain really became an issue. After taking Zentril one month it was gone, I was shocked to find that I could walk better! , It has been three years without any treatments. 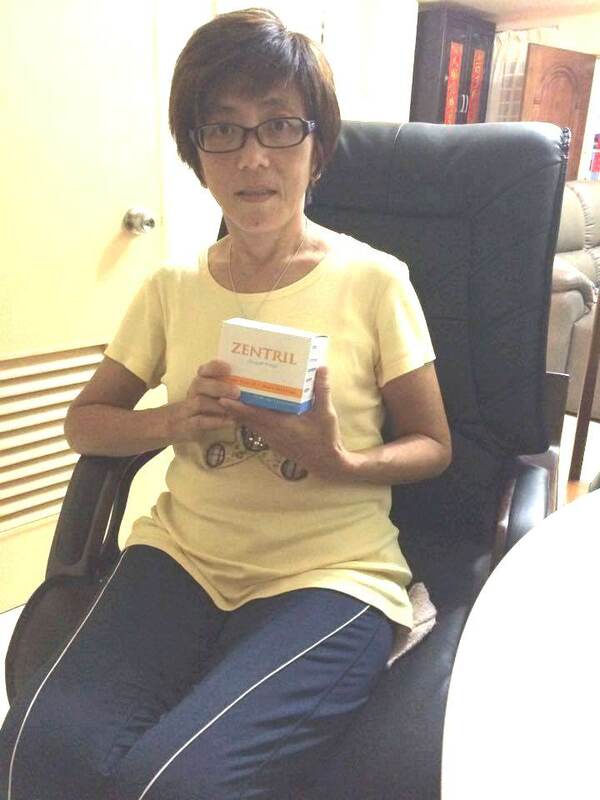 Zentril is my miracle cure, saving me thousands of ringgit compare with previous treatments. It has been a life changing experience. Over the past many years I have endured the steady deterioration of both my knee pain .The increased pain and continued loss of mobility, as well as psychologically. Like most patients I have tried various treatments and the doctor recommended double knee replacement surgery. However, after taking Zentril I was amazed to experience less pain with increased mobility. I can also go up and down stairs without too much of a problem and able to do things I have not been able to do before.